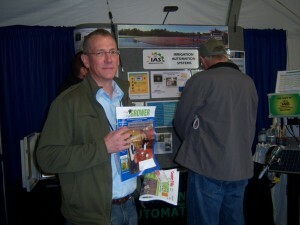 For the first time in it’s history, IAS had a booth at the World Ag show in Tulare, CA. As most of you should know, California and much of the west is experiencing a record drought. Growers of all types of crops visited our booth to ask questions about our AlertII™ and soil moisture monitoring capability. For many growers, simply being able to better monitor soil moisture can help them save water.